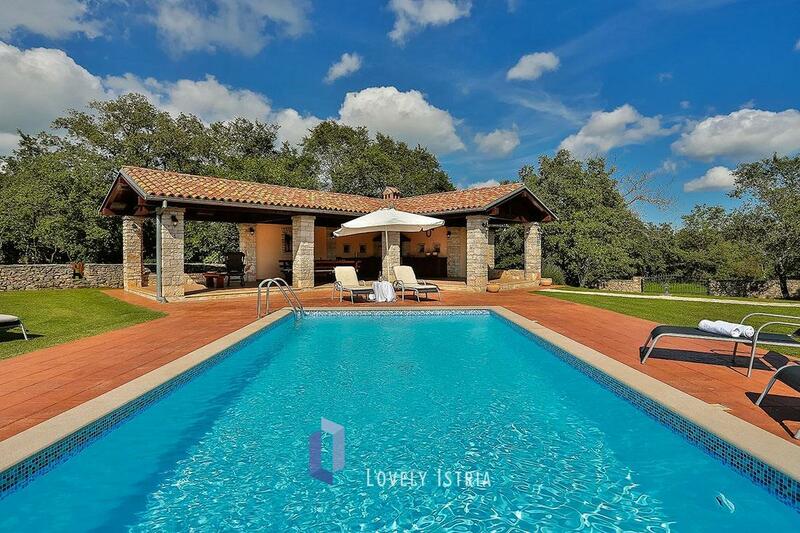 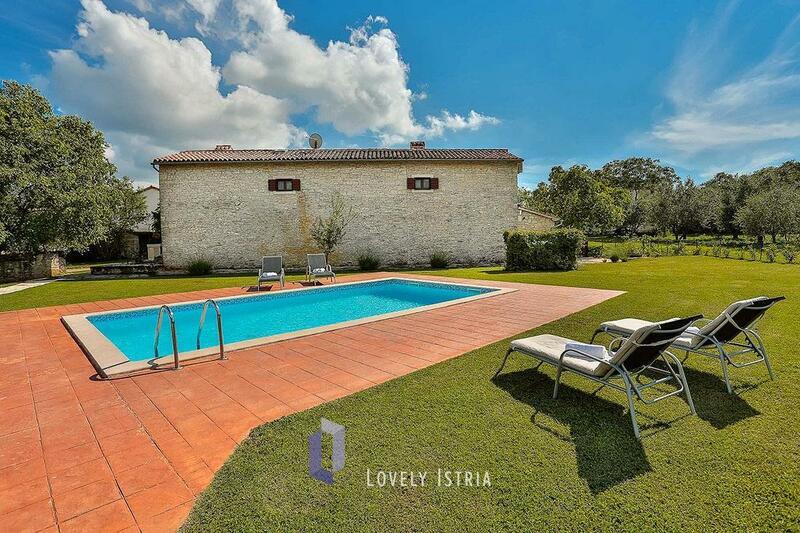 Villa Edera is a perfect holiday house for those who prefer the countryside calmness over the urban tourist centres. 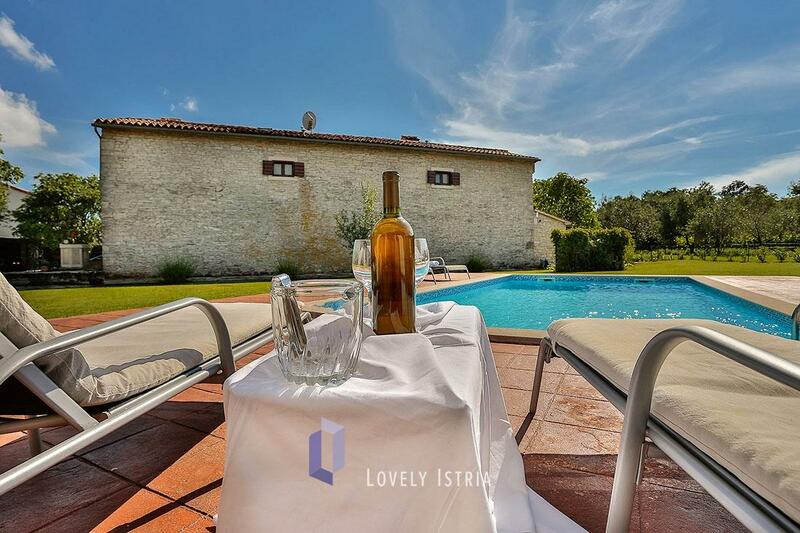 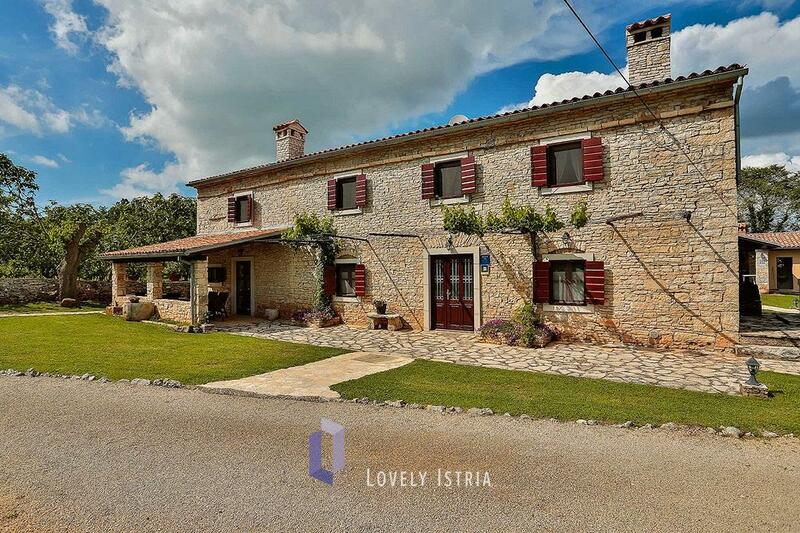 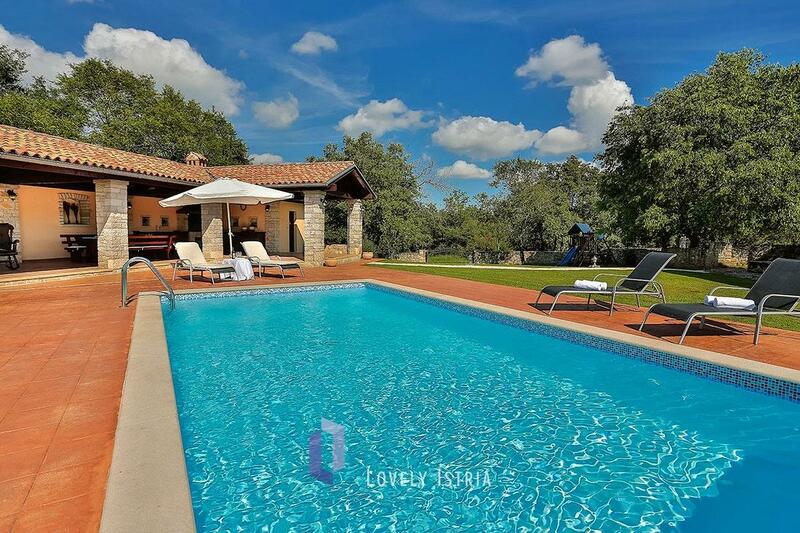 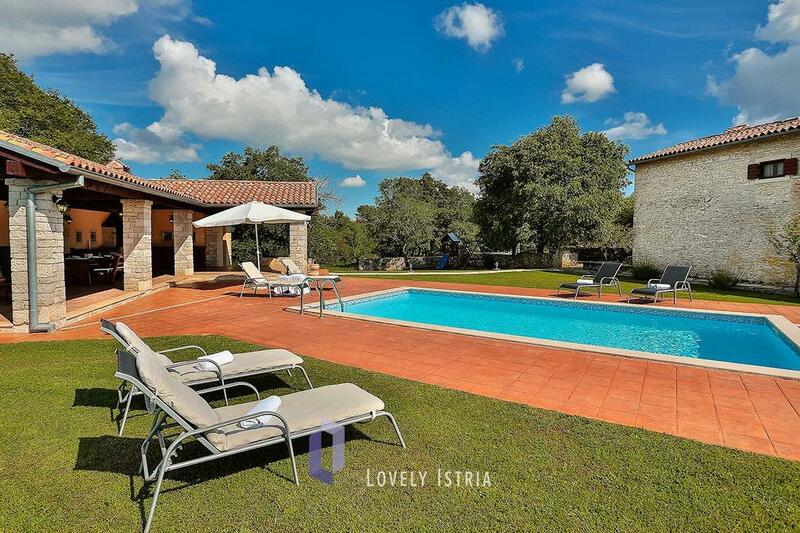 The first thing that catches the eye is a typical and a beautiful Istrian appearance with the house built in stone, Mediterranean shutters, an old fountain, vines and a gravel pathway passing through the furnished lawn. 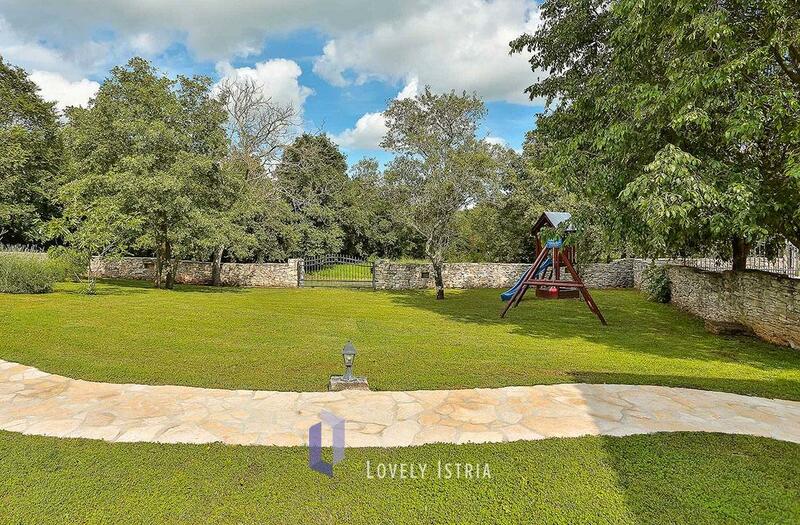 But the real eye- pleaser is the backyard with a swimming pool and an additional building used as a summer kitchen, all surrounded with greenness. 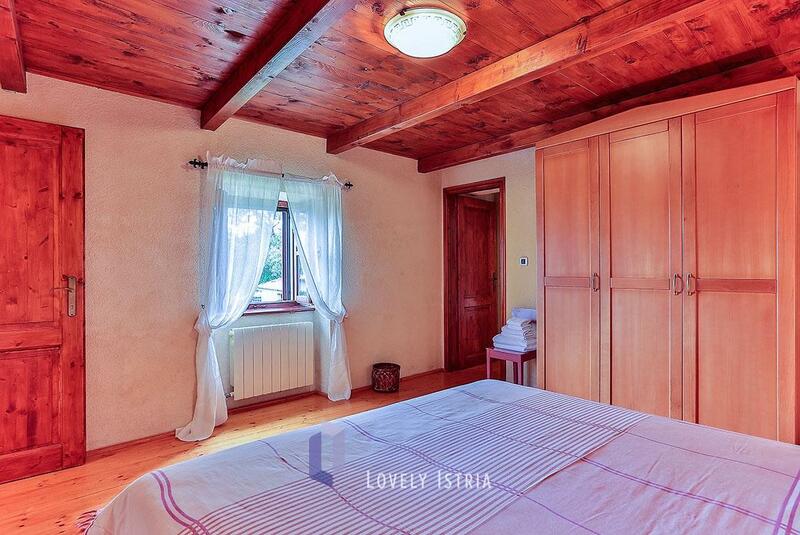 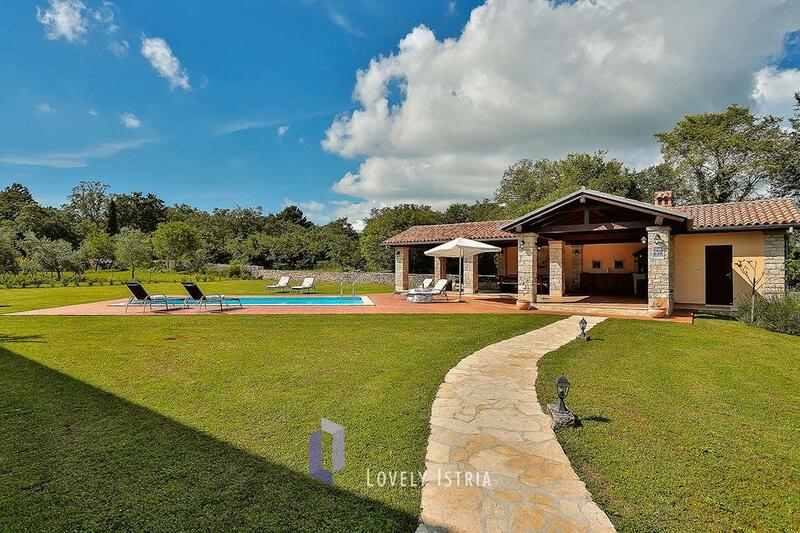 The Villa itself offers a promising vacation for up to 8 persons within its 130 m2 interior with three bedrooms, living room with a fireplace and a modern kitchen with a rustic feel. 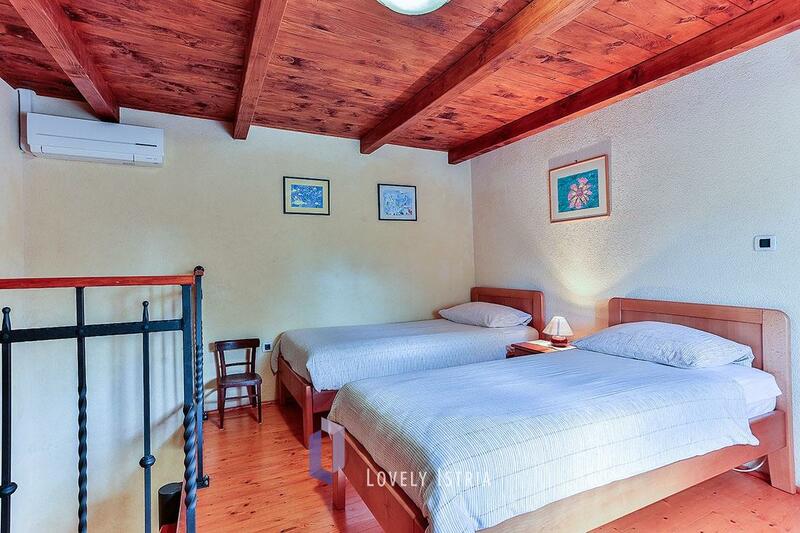 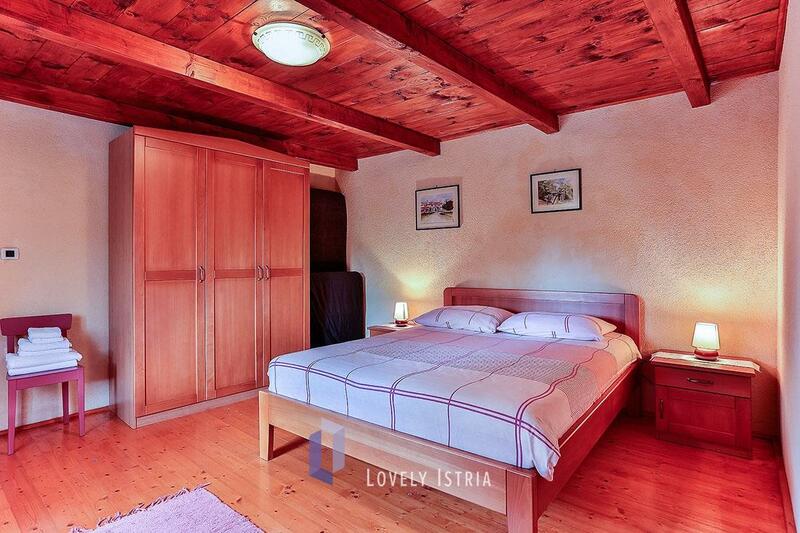 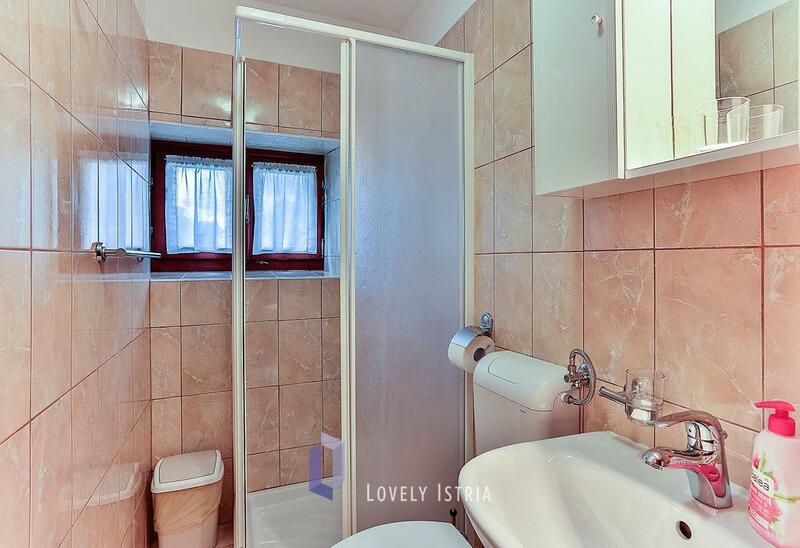 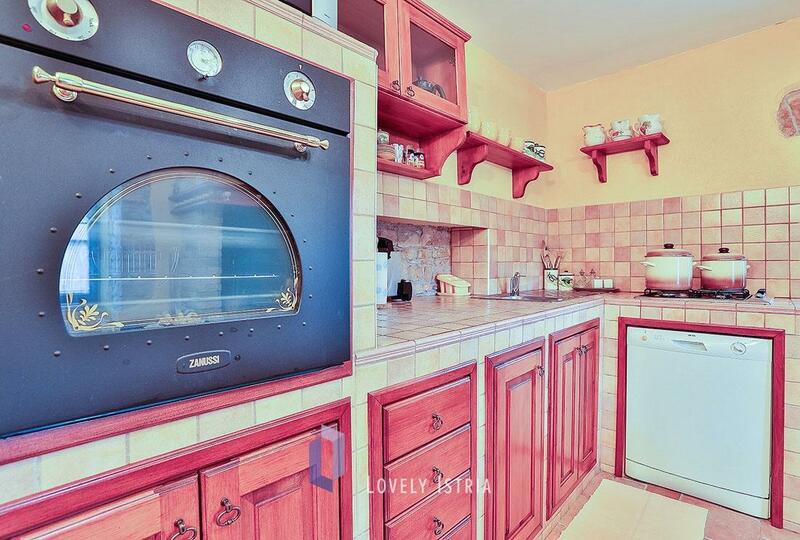 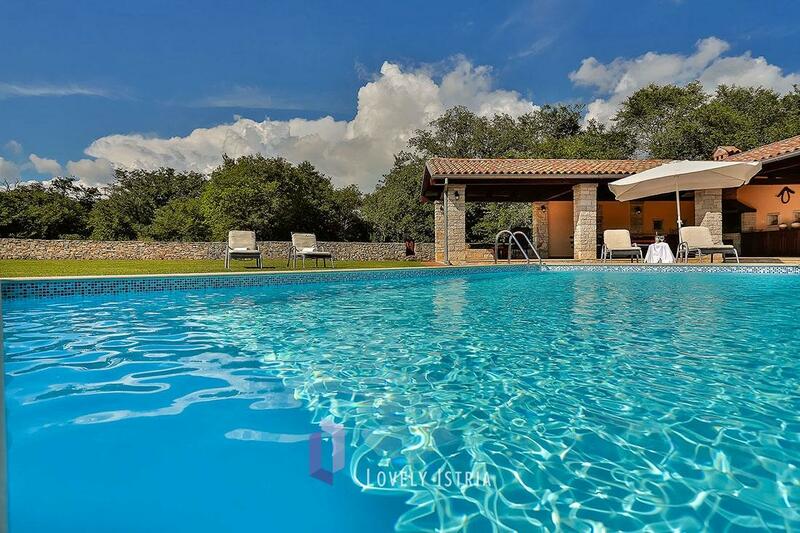 Naturally, the house is completely equipped, the facilities are up-to-date and the privacy is absolute. 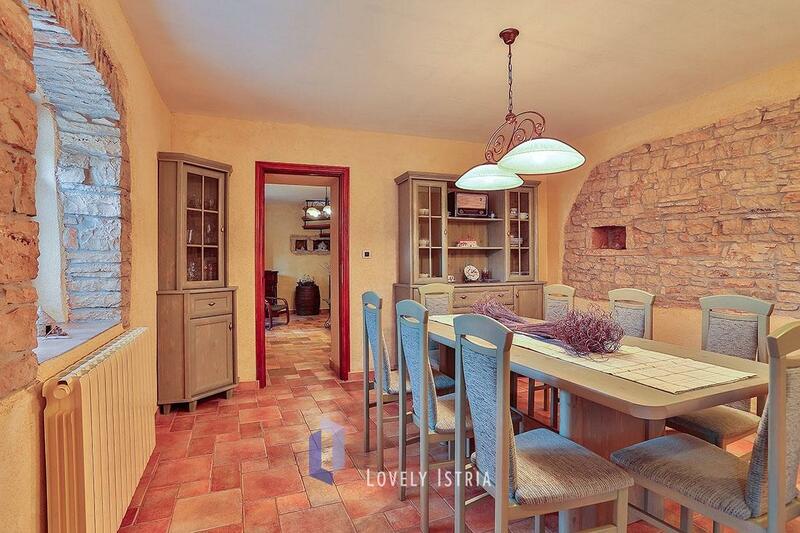 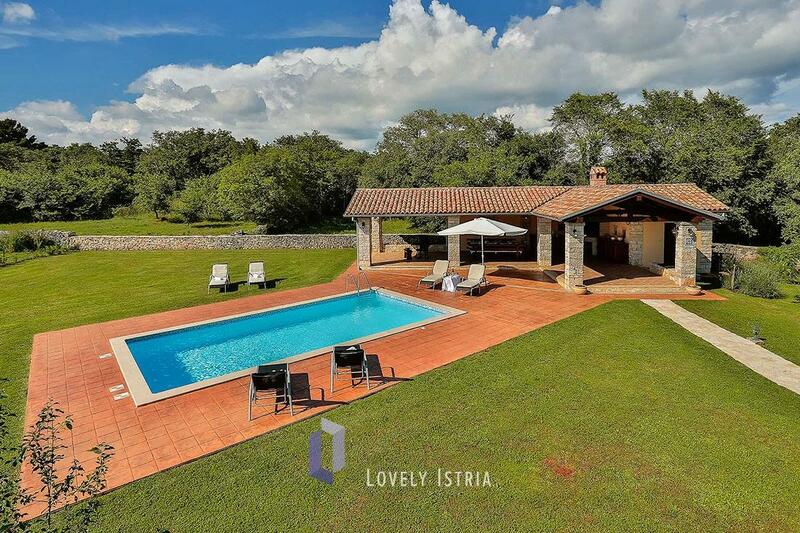 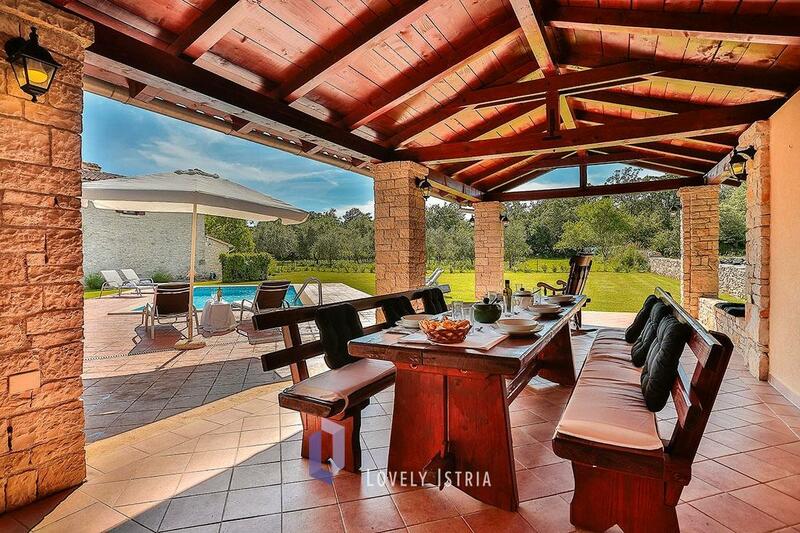 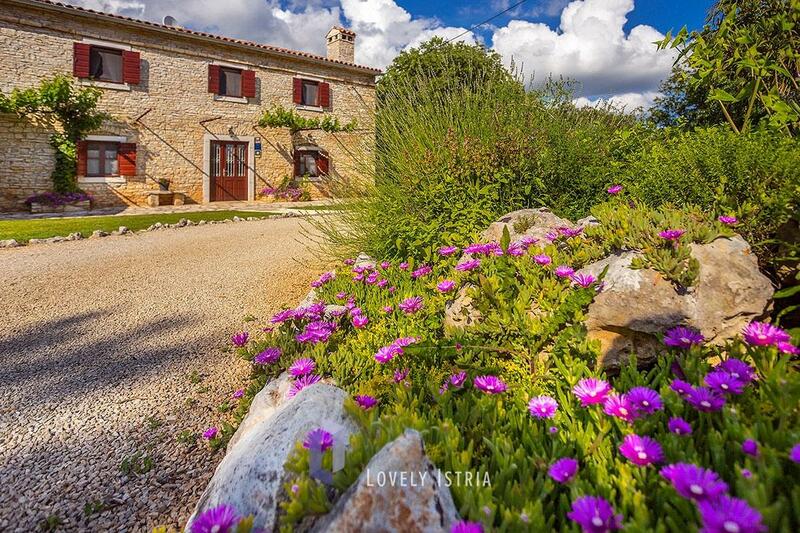 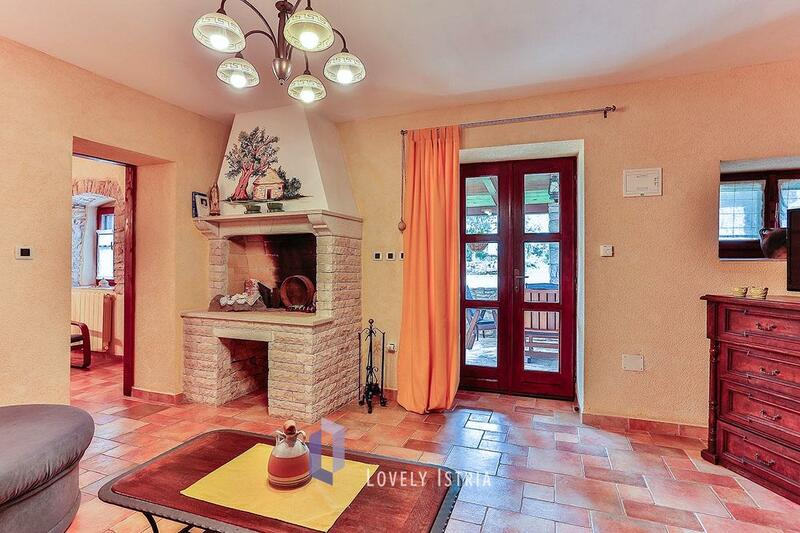 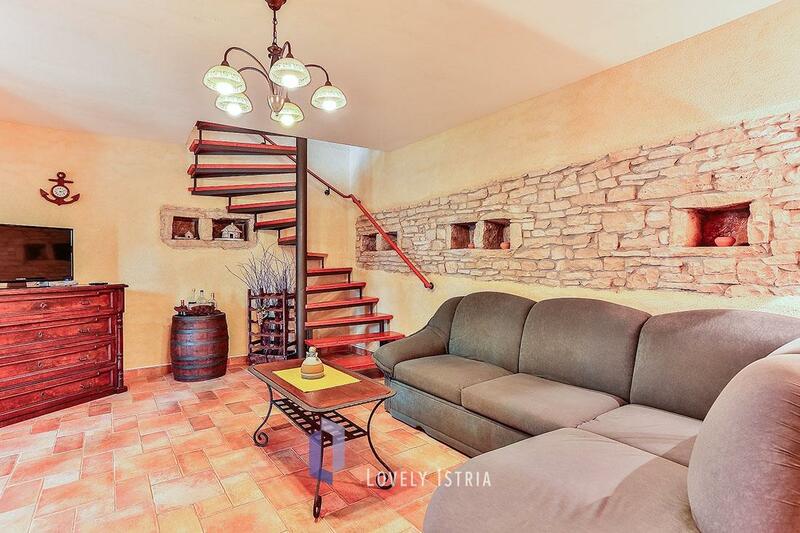 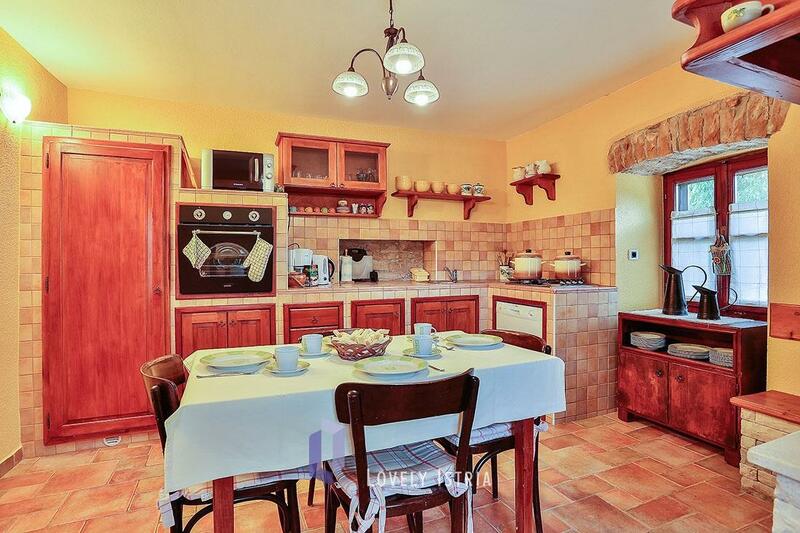 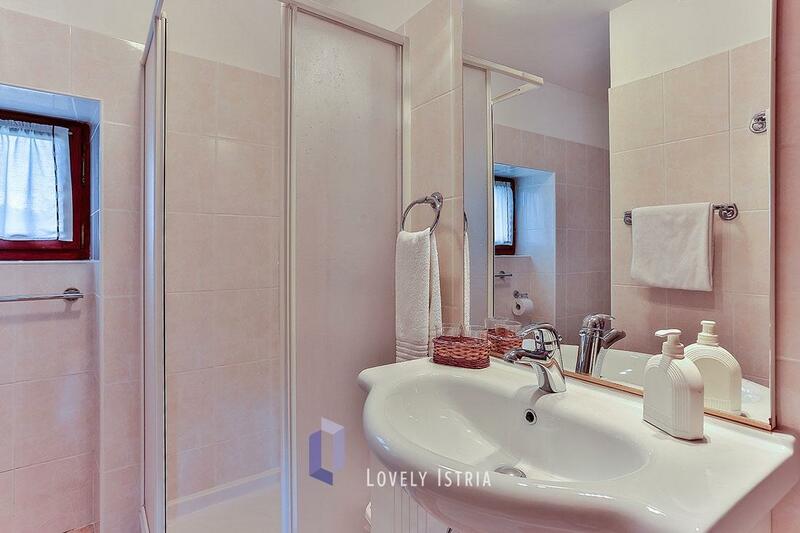 Villa Edera, this delightful house in Green Istria, offers everything for a relaxing and fun holiday, either you decide to spend it indoors or outdoors. 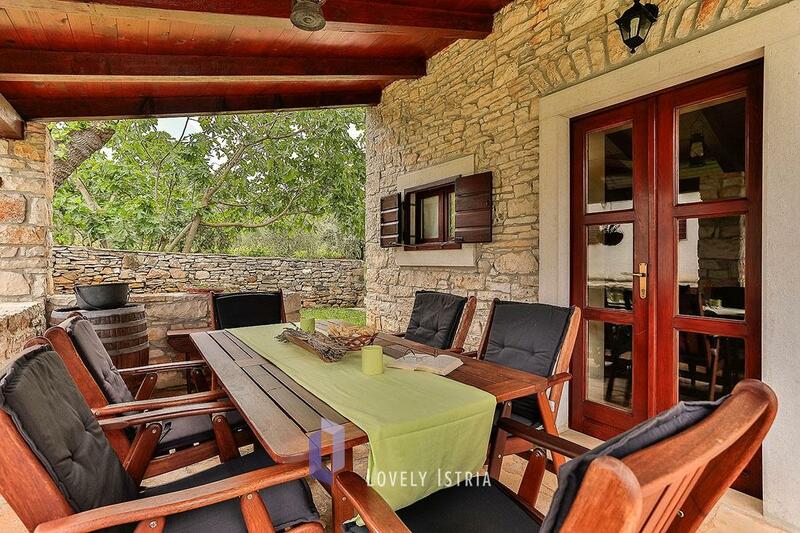 Sveti Kirin is placed in a splendid location that offers a quiet escape from everyday rush and crowded places. 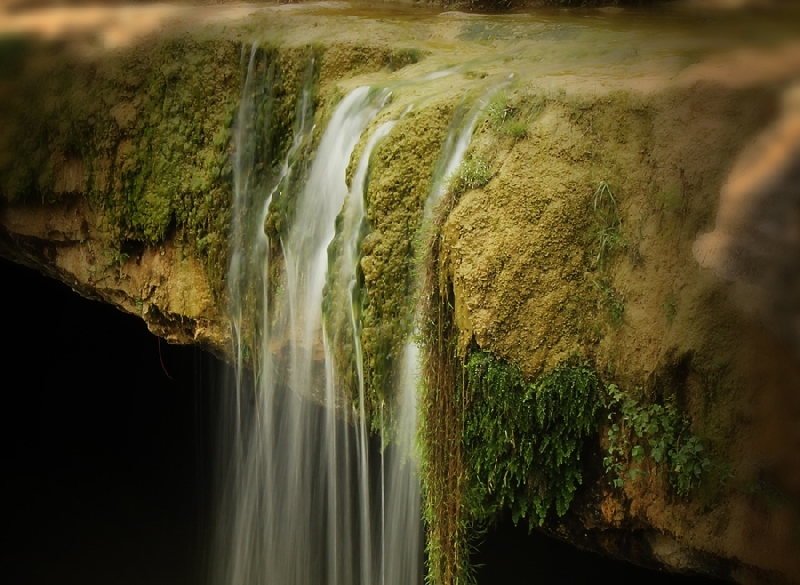 Still, it is close enough to interesting and attractive places. 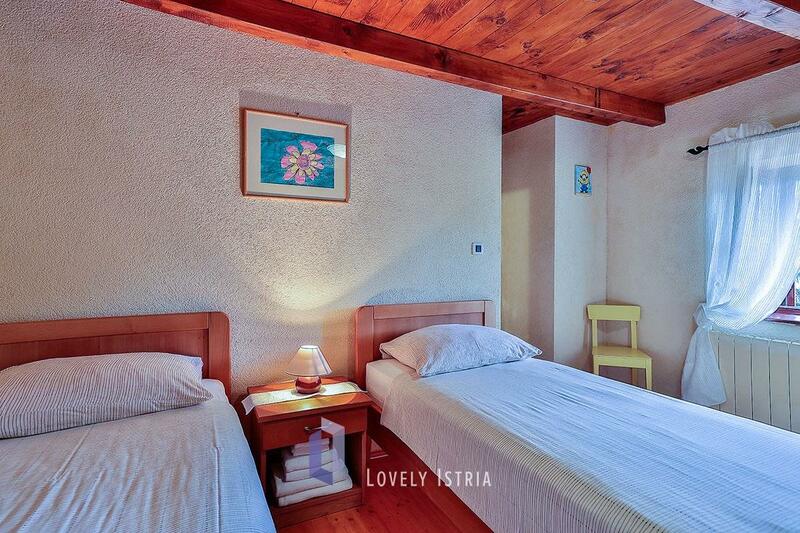 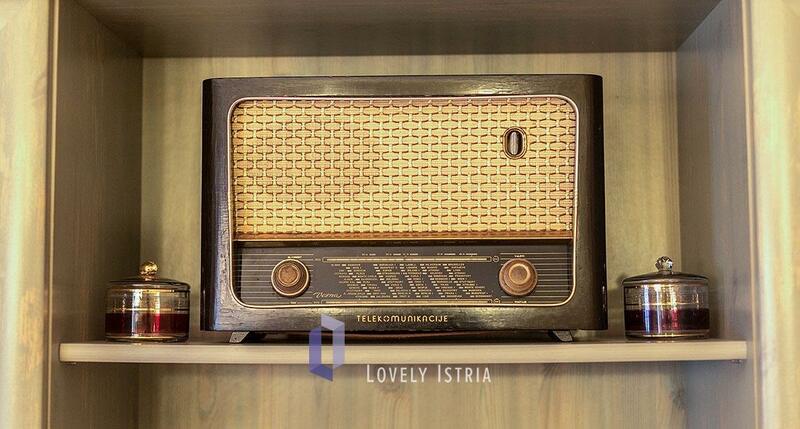 Firstly, be sure to visit two magnificent cities that are around 20 kilometers away from Villa Edera. 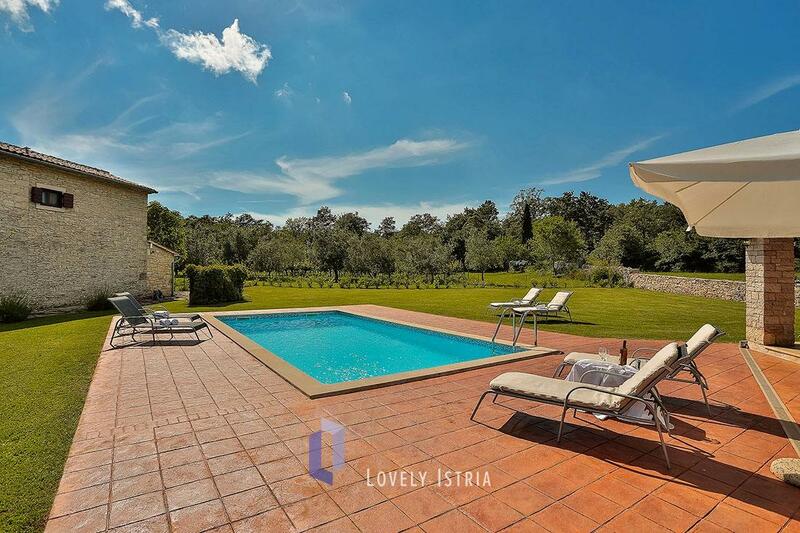 On the western coast you will find Rovinj, one of the most attractive places in the world, according to travel experts. 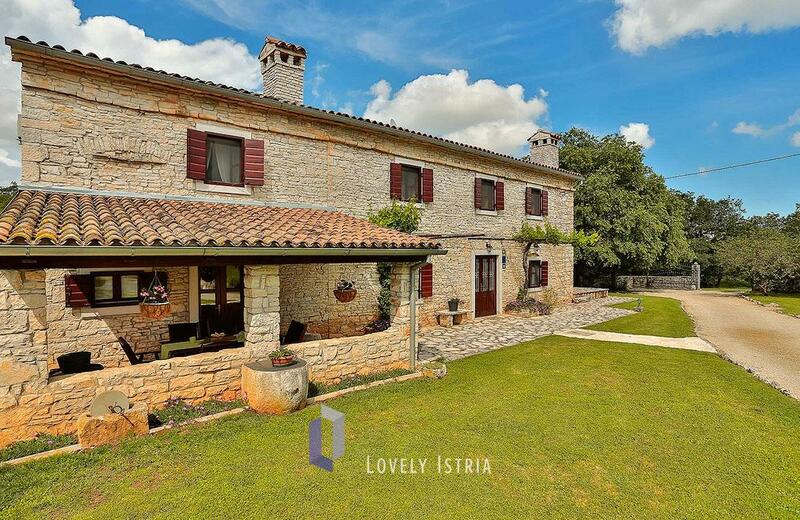 On the south, be sure to visit Pula, the largest and the oldest Istrian city with many perfectly preserved ancient Roman monuments, including the amphitheatre. 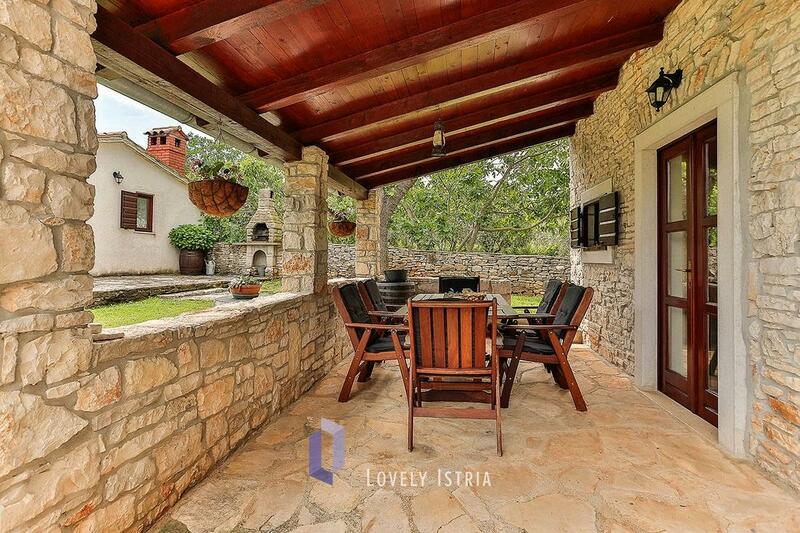 Fažana is near Pula and it is a tourist place by the seaside as well as a base for boats departing to Brijuni National Park. 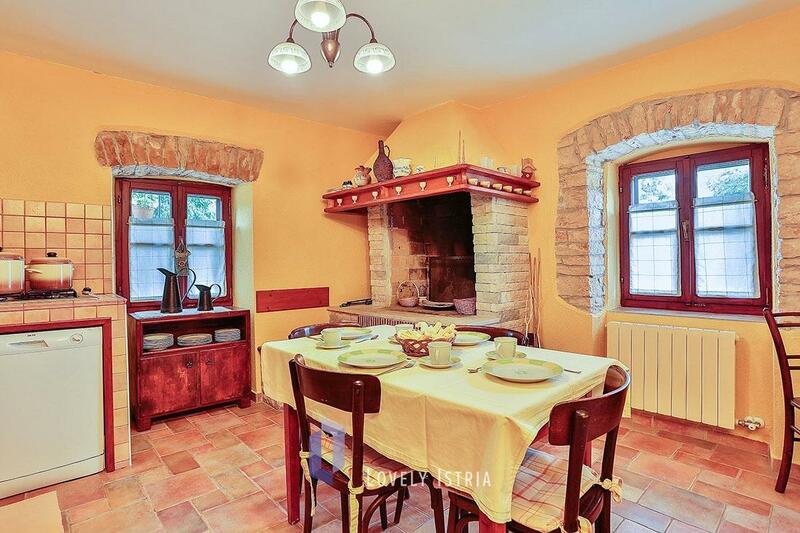 Another place worth seeing is Svetvinčenat, a place with a wonderful medieval castle and the surrounding buildings from the same period. 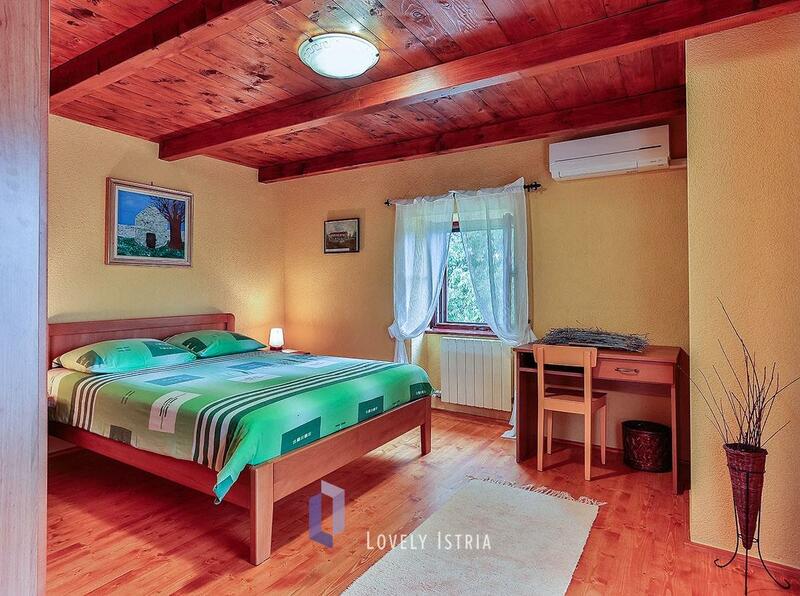 Vodnjan is another charming town with lots of sightseeing possibilities.